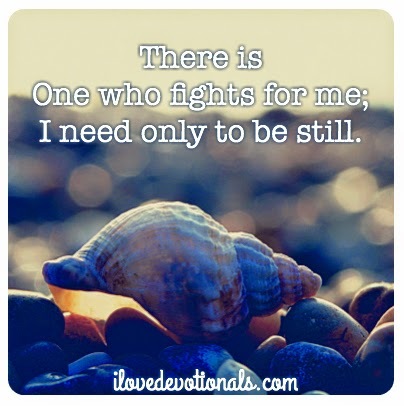 The other night my husband and I were praying and I kept using the phrase, “the One who fights for me”. It’s not the way I usually refer to God but that night I felt I needed to remind myself that God not only loves me but fights for me. There’s a story in Exodus 14 that you might have heard in Sunday school. It’s a story of a group of people leaving the only home they’d known and fleeing an evil leader. They fled to the wilderness, and found themselves trapped between a sea they couldn’t cross, and a pharaohs’ army that they couldn’t fight. 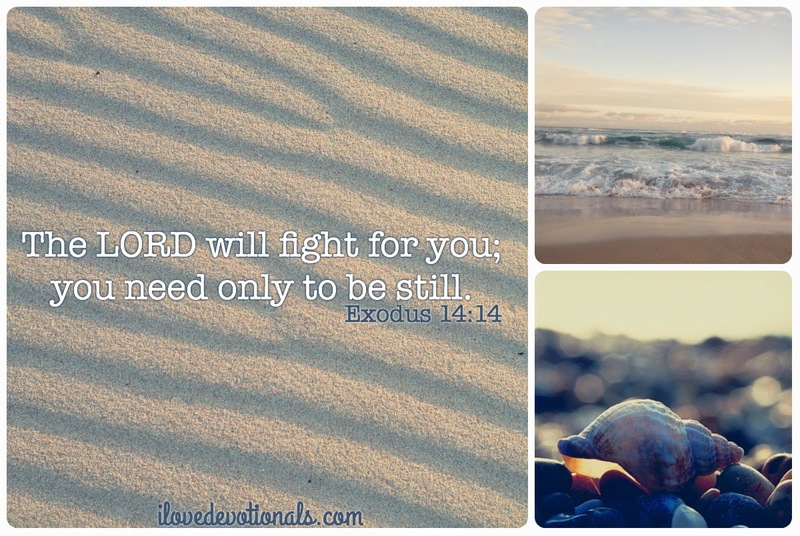 In the midst of this fear and panic their leader, Moses, spoke to the people, the Israelites,he had led out of Egypt, and said, The LORD will fight for you; you need only to be still. I wonder how the people Moses spoke to felt? I think I would have felt powerless, fearful and hopeless. I think being still; allowing God to work the situation out would be the hardest thing to do. Yet somehow the Israelites remained still. They stayed where they were till God told them to move. Until Moses stretched out his hand over the sea and God, with a terrific east wind all night long, made the sea go back. God made the sea dry ground. And the people walked across a dry seabed to freedom. This story always reminds me that when I find myself caught between a force I can’t control and a group of people I can’t beat God will fight for me. God doesn’t need to huff and puff and hope that the waves move back a centimeter. He can command the wind to blow and the sea to reveal dry ground perfectly well without me. God needs me to be still and see the miracles he will do on my behalf. 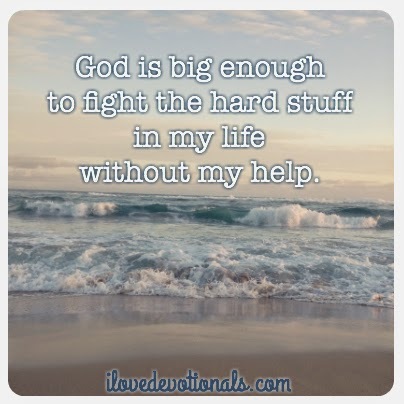 Ponder: What situation do you need God to fight for you in? How do you feel when you think about standing back, doing nothing, and letting God move? Prayer: Lord, be the One who fights for me.